The 'J' in JRPG isn't just a signifier of its country of origin - it's a statement of mood, intent, and game design ethos. Early JRPGs like Dragon Quest found inspiration in Dungeons & Dragons and modeled its stylings for an audience raised on consoles, giving birth to a whole new genre in the process. By the late '90s, JRPGs would become synonymous with video game storytelling, finding a worldwide audience hungry for games that didn't just give them an empty role to fill, but fully-realized characters to control and fall in love with over dozens of hours of gameplay. 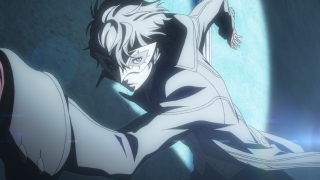 The JRPG may have fallen out of favor in recent years, but with the release of Final Fantasy 15 and Persona 5, the genre is making a ferocious comeback as a whole new generation of fans discover their thrilling, intricate, and strategic combat systems and unconventional, off-the-wall narratives. This list is just a small celebration of some of the best games the genre has to offer, organized by some of GamesRadar's biggest JRPG fanatics. Read on for the top five JRPGs of all time!